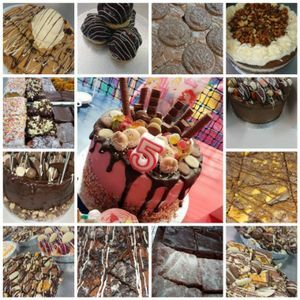 Gourmet brownies & classic school dinner puddings, all your favourites as a child from cornflake tart to chocolate concrete and pink custard! Also offering small bite size desserts. School dinner & gourmet brownies Cheesecakes Cupcakes And more..